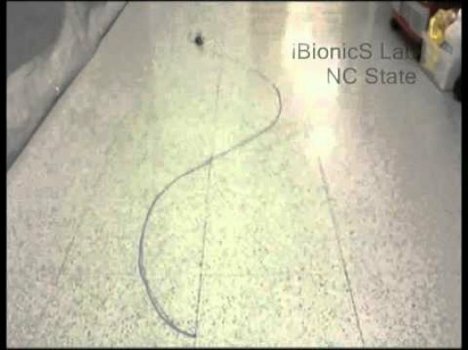 If you have ever wondered what possible purpose cockroaches could serve, researchers from North Carolina State University have the answer: they make great biological robots. The research team believed that they could build an effective troop of smart sensors to investigate emergency situations and provide rescuers with vital data. Going into dangerous situations like the aftermath of an earthquake is usually a job best left to non-biological entities like remote-controlled robots. Building a robot that is tiny enough and powerful enough to perform the needed functions is cost-prohibitive, however. 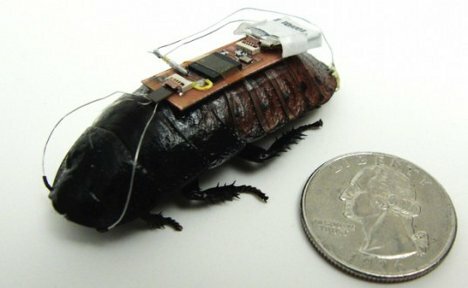 This project uses cockroaches because, of course, they are small and incredibly tough – and they’ve already got the built-in “circuitry” to make them go. They can fit into tiny places that no human will ever be able to. The researchers fitted the Madagascar hissing cockroaches with small commercially-available chips, each of which include a transmitter and a receiver. These roach-size “backpacks” also have microcontrollers which monitor the connection between roach and machine to ensure that the roaches are not suffering from neural damage. The system activates the primal predator-sensing instinct in the roaches, spurring them to run. Additional controls let the researchers activate the roaches’ antennae so that the roaches think there are physical obstacles in the way, making them turn in the opposite direction. In this way, the researchers are able to steer the roaches quite effectively.